BRYAN EATON/Staff photo. 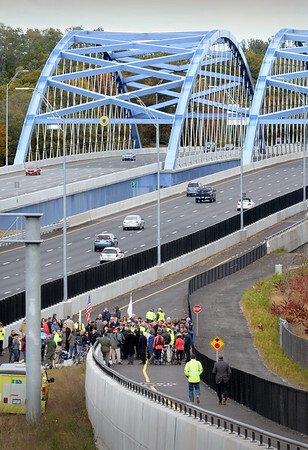 People head down the Garrison Shared Use Path for the rededication of the Whittier Bridge. Well over a hundred people, including many students, attended the event.